Scroll Down To Learn All About Us! 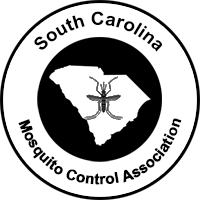 The South Carolina Mosquito Control Association, incorporated in 1973, is a non-profit organization established to promote professionalism in mosquito control. It helps protect the health and well-being of South Carolina's citizens from disease and discomfort caused by mosquitoes through the promotion of scientifically sound mosquito control practices. Abbeville, Anderson, Cherokee, Chester, Edgefield, Greenville, Greenwood, Lancaster, Laurens, McCormick, Oconee, Pickens, Saluda, Spartanburg, Union, and York. Bamberg, Calhoun, Chesterfield, Clarendon, Darlington, Dillon, Fairfield, Florence, Kershaw, Lee, Lexington, Marlboro, Marion, Newberry, Orangeburg, Richland, and Sumter. Aiken, Allendale, Barnwell, Beaufort, Berkeley, Charleston, Colleton, Dorchester, Georgetown, Hampton, Horry, Jasper, and Williamsburg.